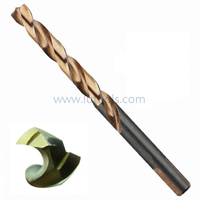 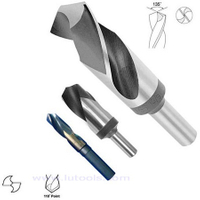 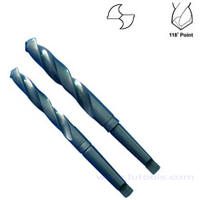 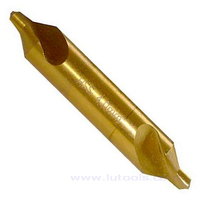 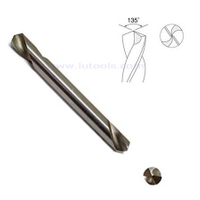 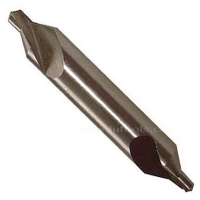 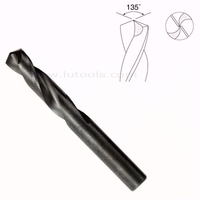 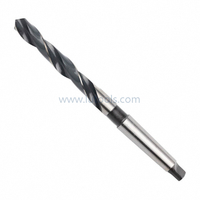 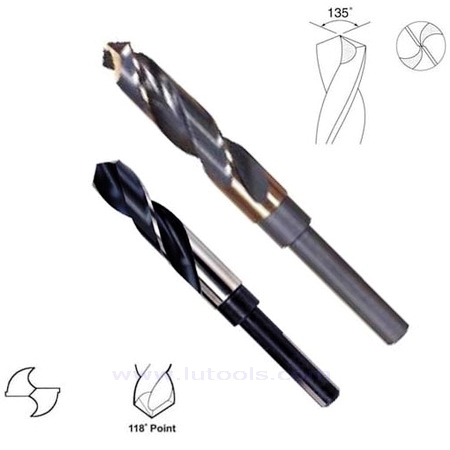 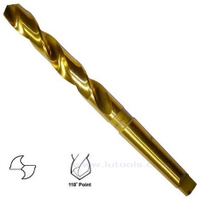 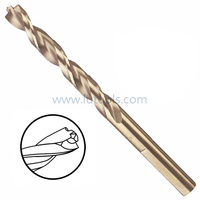 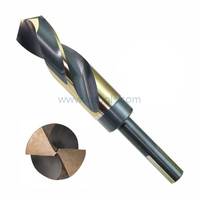 HSS 1/2" Reduced Shank Drill Bits (TD-016) - Buy reduced shank twist drill, 1/2" reduced shank drill, hss reduced shank drill Product on Quality drill bits, saw blades and other power tools accessories supplier! 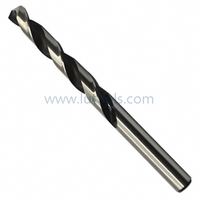 Made from High speed steel, Standard right hand spiral. 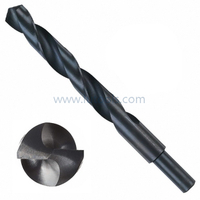 1/2" Reduced Shank Drills are used for drilling holes larger than the capacity of a 1/2" drill chuck. 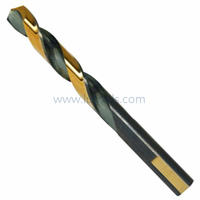 Reduced shank drills should only be used for light to medium duty drilling applications as they do not have the torque strength of a straight shank drill. 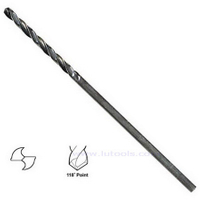 Reduced shank is not as hard as the body of drill to allow more flex and less breakage. 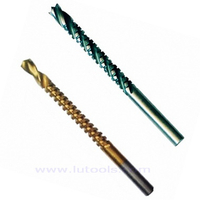 For drilling applications in a wide range of normal ferrous and non-ferrous metals as well asnon-metallic materials. 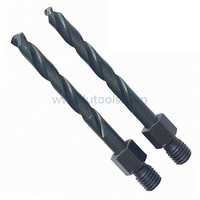 Black oxide finish or Bright finish or Titanium Coated are available on request. 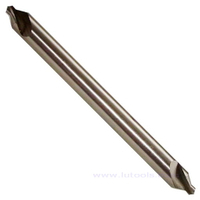 Round Shank or 3 Flat Shank are available on request. 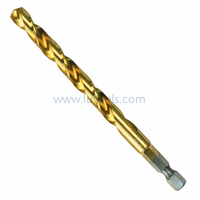 All drills have 1/2" Reduced Shank, 3" Flute Length and 6" Overall Length.